WASHINGTON, DC – Last year was disappointing, but the Silver Institute is predicting a “more supportive” climate for silver this year. Sales of the U.S. Mint’s American Eagle coins rose 12% in January 2019, compared to the same month a year earlier. Silver should also benefit as the U.S. Federal Reserve is expected to ease off interest rate hikes. On the demand side, the Silver Institute expects the industrial fabrication sector should see a modest rise. 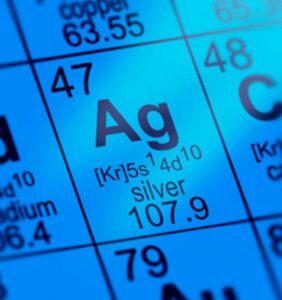 Demand for silver from the photovoltaic (PV) demand is seen as strong, especially where governments support the move to renewable energy sources. Solid growth is predicted for jewelry uses. Exchange traded products (ETP) will expand by 8 million oz. this year. The demand for physical silver investment should grow by 5%. The Institute predicts primary silver mine production to decline by 2% this year. Any small rises in production will come from gold and zinc-lead mining. The supply of scrap silver should pick up modestly. The market is generally seen as absorbing the existing supply, particularly in various downstream sectors. The Silver Institute was bold enough to say it expects the silver price to strengthen this year and average US$16.75 per ounce. That represents a 7% increase over 2018. Investors leery of the equity markets are expected to look for alternatives such as precious metals, and silver will benefit from their interest. More information is posted at www.SilverInstitute.org.